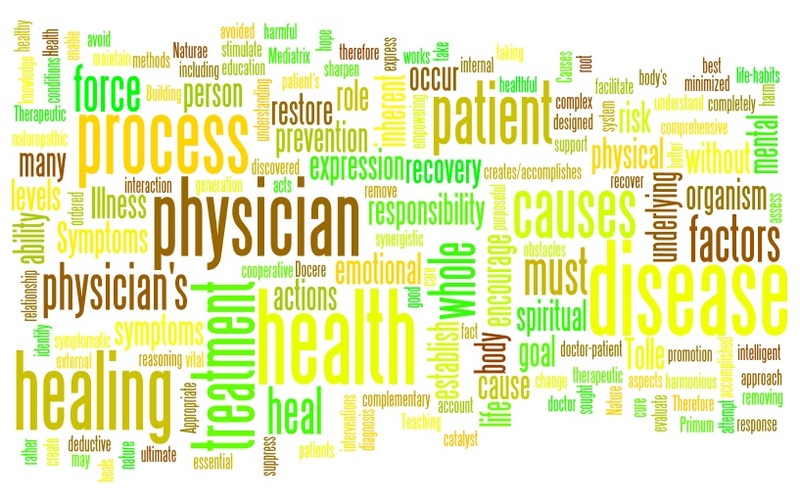 Philosophy of Naturopathic Medicine which Dr. Decker seeks to uphold in working in supporting your recovery to health. The process of healing - in essence a shedding and rebirth within. Illness is a purposeful process of the organism. The process of healing includes the generation of symptoms which are, in fact, an expression of the life force attempting to heal itself. Therapeutic actions should be complementary to and synergistic with this healing process. The physician's actions can support or antagonize the healing power of Nature. Methods designed to suppress symptoms without removing the underlying causes are considered harmful and to be avoided or minimized. The body has an inherent ability to establish, maintain, and restore health. The healing process is ordered and intelligent; nature heals through the response of the life force. The physician's role is to facilitate this process, to identify and remove obstacles to health and recovery, and to establish or restore a healthy internal and external environment. The goal of treatment is to stimulate and encourage the vital force, the ability of the body to fix itself. Illness does not occur without cause. Underlying causes of disease must be discovered and removed or treated before a person can recover completely from illness. Symptoms express the body's attempt to heal, but are not the cause of disease. Symptoms, therefore, should not be suppressed by treatment. Causes may occur on many levels including physical, mental, emotional, and spiritual. The physician must evaluate fundamental underlying causes on all levels, directing treatment at root causes rather than at symptomatic expression. The ultimate goal of any health care system should be prevention of disease. This is accomplished through education and promotion of life-habits that create good health. The physician learns to assess risk factors and to sharpen their deductive reasoning, and understand the patient's circumstances. Appropriate interventions are then sought to avoid further harm or risk to the patient. Building health works better and more surely than fighting disease.